The Eastern Sierra was having the weather every photographer dreads when I was there-clear, blue skies. The light was harsh, so I spent my time hiking and looking for filtered light. 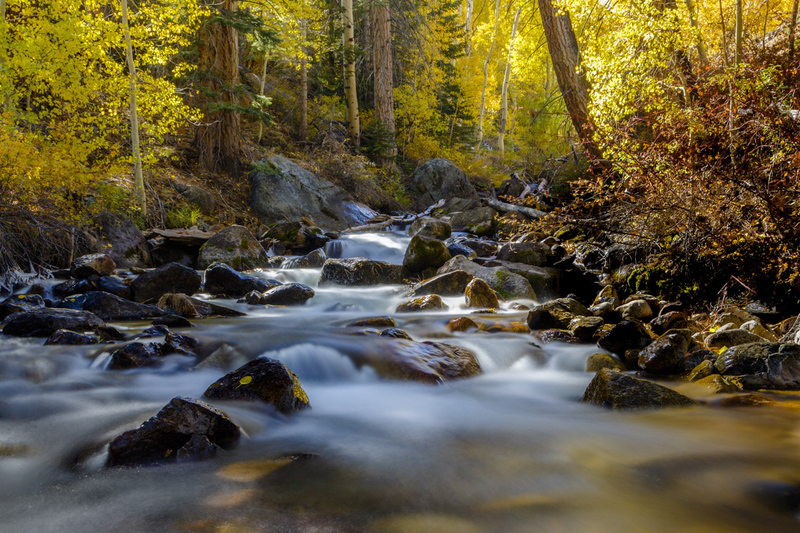 On the trail to a popular lake I saw some beautiful, backlit aspens and heard a creek. I followed the sound off trail and discovered this beautiful spot.